WASHINGTON — The Army decided earlier this year to drastically accelerate its plans to get the Patriot medium-range air-and-missile defense system and the Terminal High Altitude Area Defense system to communicate. The service has since seen an influx of cash in its fiscal 2018 and 2019 budgets approved by Congress to move forward with the effort. But what does it really mean for Patriot and THAAD to be interoperable, and why is it seen as an urgent need on the Korean peninsula? The Army announced in March, through its Air-and-Missile Defense Cross-Functional Team, formed to bring forward AMD modernization efforts rapidly under Army Futures Command, that it was planning to tie its two most critical AMD systems together within two years, which is key to establishing a more effective, layered approach to AMD. Getting THAAD and Patriot to talk to each other is extremely important in building better operational capability and a better picture of incoming threats, Brig. Gen. Randall McIntire, who leads the Air-and-Missile Defense Cross-Functional Team, said at the time. Driving the effort are the forces in South Korea, where both THAAD and Patriot are deployed, so funding coming in for the accelerated project is categorized in the FY18 AND FY19 appropriations bills as a joint urgent operational need for U.S. Forces-Korea. THAAD is also deployed on Guam, while Patriot units are spread wider around the world. Patriot deployments are considered to be among the most taxing and lengthy ones in the Army. So, how is the service doing that alongside Patriot’s manufacturer Raytheon and THAAD’s developer Lockheed Martin? While some of the effort is classified, THAAD and Patriot integration will enhance the use of radars and interceptors on each system, McIntire said in a recent interview with Defense News. 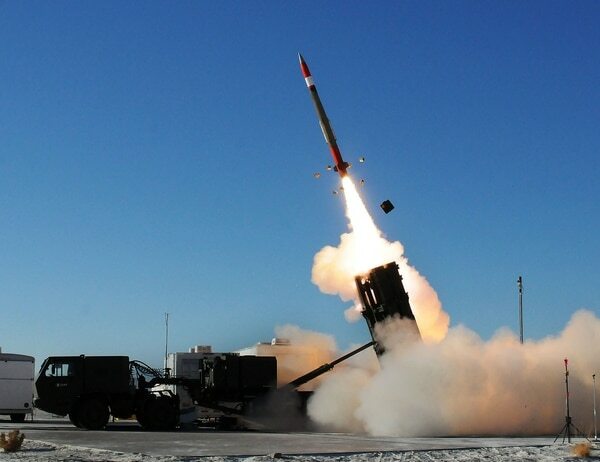 The effort also allows the Army to get more out of its Patriot Advanced Capability-3 Missile Segment Enhancement (PAC-3 MSE) missile fired from Patriot units but built by Lockheed Martin. The Army is working through how to replace Patriot’s radar in a separate line of effort. From the standpoint of selecting appropriate missiles depending on threats, McIntire said, instead of launching a THAAD missile, a Patriot missile could go after a threat and save the Army on cost per shot. The worst case, he said, is if Patriot and THAAD both go after the same threat. Interoperability would help avoid that. When it comes to THAAD and Patriot integration, McIntire noted he was surprised that the Army doesn’t already have this capability, but it’s imperative that the Army achieve a tiered and layered approach to missile defense rather than have independent, stove-piped systems. Originally, the Army thought the integration of the two key systems were four or five years away, but the AMD CFT reprioritized the effort due to the joint urgent need out of Korea and will shave off about 50 percent of development time. From Lockheed’s standpoint, the company had already been internally investing in the interoperability between the two systems and also in how to make its own systems more flexible in a layered missile defense environment, according to Tim Cahill, company vice president of air-and-missile defense. When the integration is complete, Cahill said, the Army will be able to attach a Patriot launcher with MSE missiles into a THAAD battery, which will increase the range of the MSE missile due to the range of the THAAD radar. The capability will also include the ability to launch an MSE missile on remote, using THAAD radar data passed to Patriot to let the MSE missile fire earlier than the Patriot radar would detect it, Cahill described. 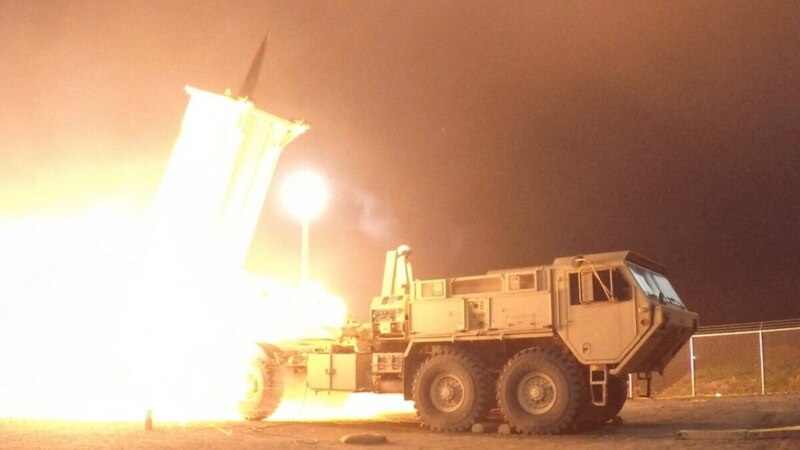 And Lockheed is also going to physically untether the THAAD launcher from the battle manager and radar to enable it to launch interceptors remotely in order to put the launcher farther forward on the battlefield to extend its reach. This enables the interceptors to be pre-staged a distance away or allows the Army the ability to work around terrain, Cahill said. Lockheed still has to formally build the software, test it and do flight tests, according to Cahill. While formal testing has yet to begin, the company has done proof-of-concepts and shown that all of the capabilities within the program are feasible, he added. “We’ve done all the front end work on our own,” he said. Once interoperability is achieved, the capability could open other doors to achieve an even more seamless tiered and layered missile defense capability, Cahill said. The effort could not only enhance the Army’s future Integrated Battle Command System, which is going to tie a variety of sensors, shooters and radars together on the battlefield as part of an Integrated AMD system, but could also help tie other battle managers and command and control systems together, according to Cahill. “This is where we are going and where we want to go, to give the war-fighter flexibility to mix and match capability. This is just the start of that,” he said.